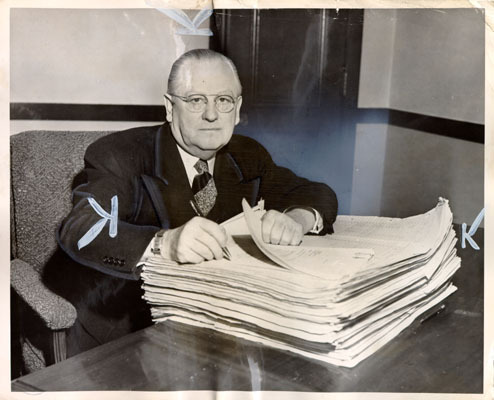 Former judge, "a professional politician of the smoke-filled room school." Rumored to have had connections to city's vice trade. Helped convince Mayor Shelley to withdraw from his re-election bid in 1967. 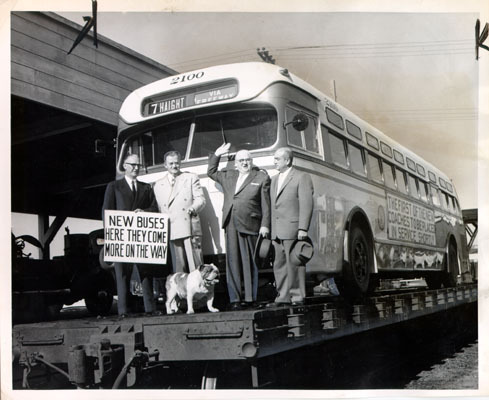 Mayor Robinson greets the new diesel buses in 1955. 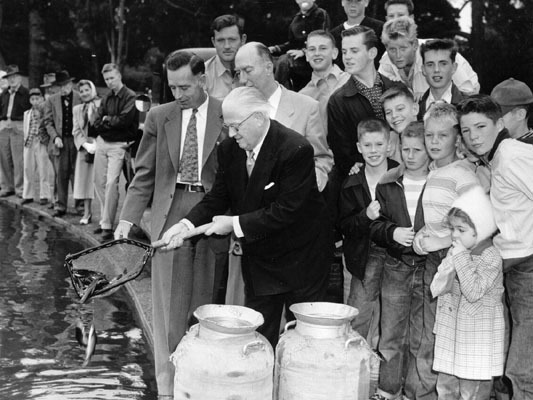 Mayor Robinson releases first fish into Golden Gate Park's Spreckels Lake in 1953.